Many low-income Affordable Care Act patients will be seeing higher co-pays and deductibles at hospitals and doctor’s offices if the May 2016 decision by federal Judge Rosemary Collyer stands. Billions could be lost: Unlike health insurers that have pulled out of Obamacare to avoid financial impacts, hospitals have no such option. If the U.S. Supreme Court upholds Collyer’s ruling that subsidies for out-of-pocket costs are illegal, hospitals will be stuck with unpaid bills. Patient volume could decline: The loss of subsidies could mean fewer patients will seek care because they can’t afford it, which would have additional financial impacts for a hospital. 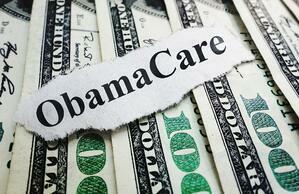 Nearly 5.6 million of those enrolled in Obamacare receive subsidies. According to Healthcare Finance, the legislation could increase payments to long-term care hospitals to $20 million from 2017 to 2026. Examine your overhead costs: Take a look at what you’re spending on administrative tasks. Do you have three people performing the same task? Try consolidating functions to reduce costs. Another option is to outsource functions like IT, HR, pharmacies and labs. Focus on patient satisfaction: You know that focusing on patient experience and satisfaction can help your facility’s reputation as well as reduce readmissions. But did you know it can also increase your cash flow? A recent report revealed hospitals that had “superior” patient experiences saw 50 percent higher margins than those hospitals that had “average” experiences. “When patients receive quality care and excellent customer service, stakeholders also save time. If a patient feels unsatisfied with their business office interaction, they may also have a negative perception of the entire healthcare facility. This can sometimes cause the facility to spend more time and money on customer service,” noted RevCycle Intelligence. Adopt technology: The right healthcare tools can improve patient experience and reduce readmissions. For instance, clinical decisions support tools can help reduce the number of unnecessary tests for a patient. Measuring flow during CABG procedures can reduce the likelihood of a patient undergoing reoperations. While waiting on decisions and funding from Washington, evaluating your facility’s costs and cash flow is something you can do right now to help prepare for governmental changes down the road.